What is HLA Typing And Why You Should Have Your Cells Genotyped? The Major Histocompatibility Complex, composed of proteins on cell surfaces of all vertebrates, is required for the immune system to recognize pathogenic and foreign molecules. The MHC gene family is divided into three subgroups: class I, class II and class III. We will focus on class I and class II families for this post. In humans, these proteins are the Human Leukocyte Antigen and the region that codes for these proteins is on Chromosome 6. MHC Class I molecules are expressed on the cell surface of all cells (except for red blood cells). Antigens presented by Class I molecules are recognized by CD8+ Cytotoxic T Lymphocytes and immediately activate the endogenous pathway. MHC Class I in humans is comprised of three subfamilies; A, B, and C. Examples of Class I human marker terminology are HLA-A or HLA-B27. MHC Class II molecules are found on the surface of antigen presenting cells and endothelial cells. The antigens presented by these molecules are generally derived from extracellular proteins and are recognized by CD4+ T-helper cells. MHC Class II in humans is composed of five subfamilies: DP, DQ, DR, DM, DO. An example of human marker Class II terminology is HLA-DR2. The nine most commonly studied HLA genes include Class I HLA-A, HLA-B, HLA-C and Class II HLA-DPA1, HLA-DPB1, HLA-DQA1, HLA-DQB1, HLA-DRA, and HLA-DRB1. HLA type correlates to bone marrow and organ transplant success. Also, HLA molecules can be disease-related biomarkers and have a role in vaccine development. MHC genes are highly polymorphic and, with the exception of identical twins, no two individuals will have the exact set of MHC molecules. Generally, for bone marrow or organ donation, eight to ten HLA markers are matched between the donor and the recipient to ensure that no rejection or immune response occurs to compromise the transplant. Four to six matches are desirable for a cord blood donation. The closer the HLA markers are between donor and recipient, the higher the success rate for the bone marrow or organ transplant will be. The National Marrow Donor Program types donors and recipients for HLA-A, -B, -C, -DRB1, -DQB1, -DQA1, -DPB1, and -DPA1 alleles. When it comes to the success of a bone marrow transplant, it is imperative that these four alleles are matched: HLA-A, -B, -C and -DRB. If one of these alleles does not match, the survival rate decreases by approximately 10%. HLA matching is vital in the transplant process. One mismatch in an HLA molecule could lead to transplant rejection or death. HLA markers are also associated with immunity to infectious disease. For example, HLA-Bw53 and DRB1*1302–DQB1*0501 are associated with an individual having better immunity to malaria. Understanding how these specific HLA types confer immunity may provide insight for disease-related biomarkers and for the role genetics plays as a protective factor against disease or in disease severity. Genetic changes in the MHC genes encoding the HLA can evolve through natural selection via selective pressure from infectious pathogens just as it did with malaria. HLA also contributes to the success of vaccines. 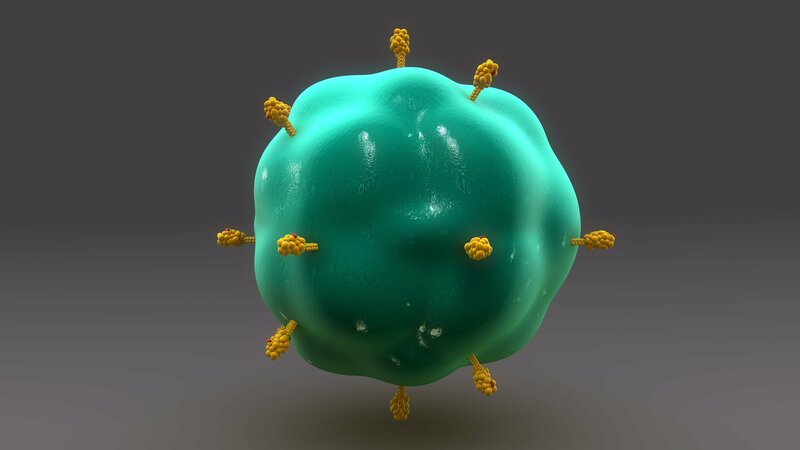 Scientists developing vaccines for HIV are analyzing the HLA genotype of HIV+ individuals to understand the specific alleles involved in a protective immune response. Specific HLA molecules targeted via peptides created as a vaccine will bind different HLA molecules. Identifying Class, I HLA alleles in populations of interest will lead to vaccines that specifically trigger an immune response and thus mount a response that results in eradication of the virus. HLA genotyping contributes to basic research into the mechanism of many diseases. For example, different alleles of the HLA-B27 gene correlate to many different diseases, most of which fall into the autoimmune category such as Psoriasis, Ankylosis Sondylitits, Irritable Bowel Disease, and Reiter’s Syndrome. Another example is HLA-DR3 and DR4 genes, which are strongly associated with Type 1 Diabetes- another autoimmune disease. At BioIVT, we offer both prescreened inventory and custom products with typing services. Our immune cell inventory lists cell products such as peripheral blood mononuclear cells (PBMCs) or specific cell subsets (T cells) that are in inventory and have already been HLA typed. Our disease state tissues are screened upon request. We also maintain inventory that has been pre-screened. To request a list of inventory with known HLA genotype or to request inventory that is able to be screened, please complete this form. For disease state biofluids, we can HLA type specific biological specimens for your research needs. We can also perform a custom donor screen to identify the appropriate cohort and re-draw these individuals specifically. Stock inventory for disease state biofluids can be found here and can be HLA typed for a fee.